There are many reasons why some men prefer electric shaving over more traditional methods, such as using a cartridge razor. There’s the convenience factor, of course (you can shave with less fuss), but also the fact that today’s best electric razors provide a close, comfortable shave that rivals that of manual shaving. Not all electric razors are made the same, however, and, for our money, we think Philips Norelco makes some of the best shavers you’ll find. In this post, we’ll look at the best Norelco shavers – including our top choice, the Philips Norelco 7500 – while discussing what makes them so good. 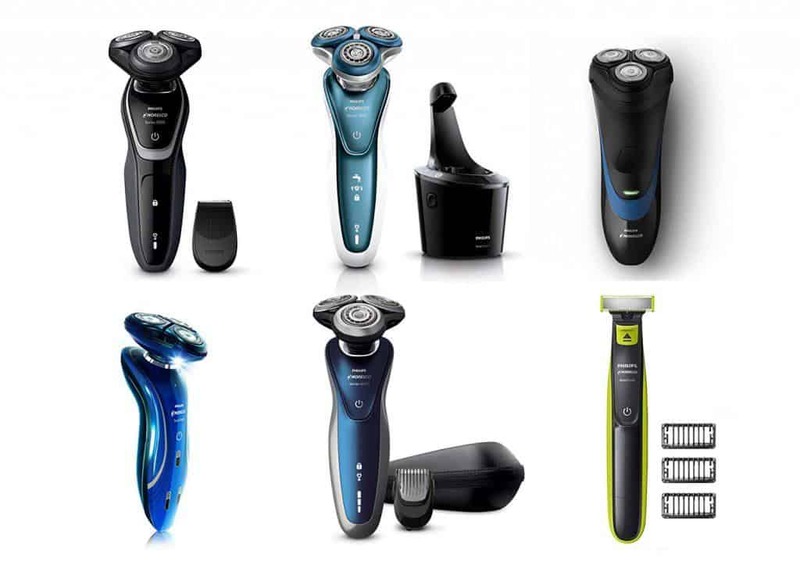 We’ll also look at things to consider when buying a Norelco shaver, how to use a Norelco razor to get the best shave, and how Norelco stacks up against other electric shaver brands. One of the nice things about buying a Norelco shaver is that you have plenty of options from which to choose. Philips Norelco is a company that has a long-standing reputation for excellence and manufactures razors to fit a variety of needs, such as for men with sensitive skin. The trick, then, is to choose the PN electric razor that best suits you, your whiskers, and your skin. There’s no doubt that you’ll find one that does, but here are some things to consider when choosing between the many Philips Norelco makes and models. Electric shavers almost always come in two types: foil or rotary. Foil shavers were the first type of electric razors to hit the market – thanks to the efforts of shaving icon Jacob Schick many moons ago – and are recognizable by their thin, curved metal foil that covers oscillating blades. Rotary shavers, a more modern invention, feature three rotating shaving heads that pivot. You can shave your face in circular motions with a rotary shaver; the design of a foil shaver limits you to a straight line, up-and-down movements. Each type – foil and rotary – has its advantages and disadvantages. 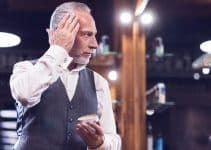 Foil shavers tend to have more skin-friendly features that provide a close shave without causing razor burn, razor bumps, and other types of skin irritation. They’re also considered less “aggressive” than rotary shavers, which is another reason why they’re a good choice for men with sensitive skin. Rotary shavers are ideal for men who don’t necessarily want a complete shave but are looking to trim the sides. They’re a bit less gentle on the skin, and you should keep that in mind if you have sensitive skin. Another advantage of rotary shavers is that they’re excellent for trimming hard-to-reach areas, such as around the chin, jawline, and nose, because of how easily they pivot. Foil shavers, in general, are a good choice for men who shave every day. Many electric shavers today – including Philips Norelco shavers – have wet and dry shaving capability. That is, you can use them with water and shave cream (and in the shower) and can clean them with water, or you can use them with no moisture at all. If you have sensitive skin, shaving gels and creams can soften your beard to help prevent irritation. Do you prefer greater freedom of movement when shaving – such as the ability to move about your bathroom and house without restriction? If so, then a cordless shaver – one that runs on battery power – is your best option. Or, you may like the convenience of knowing that – while using a shaver with a power cord – you don’t have to worry about the battery’s charge running out. Besides, many shavers come with cords long enough to give you some freedom of movement. If you do decide to go cordless, look for shavers that come with a low-battery indicator feature. Of course, they must also come with a means for which to charge them. Philips Norelco shavers offer a variety of blade and trimmer options that provide added convenience for users. Multiple blade options allow you to adjust the blade to create the desired closeness of shave, while pop-up trimmers make it easier to do finer, detail work on your beard, mustache, and sideburns. You’ll also have a choice between click-on trimmers and built-in trimmers, i.e. trimmers that you attach to the shaving unit and those built into the shaver’s body. 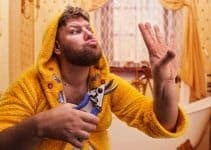 Some shaving experts suggest that click-on attachments enable you to trim difficult-to-reach areas of your face more efficiently. You can find Philips Norelco shavers to fit every budget. 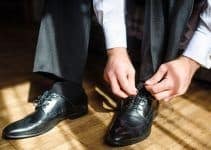 How much you pay often depends on how much you want – do you want all the bells and whistles, or is a razor with fewer gadgets, but still provides a clean, close, comfortable shave more to your liking? What kind of trimming attachments do you need for your face, or do you prefer to use another device for more specialized tasks, such as mustache trimming? While we touched briefly on skin type while comparing foil and rotary shavers, it’s worth emphasizing that your type of skin will help you determine what razor is best for you. Men with sensitive skin may benefit most from using a foil shaver, but that’s not to say you automatically should ignore rotary razors just because your skin is prone to razor irritation. Shaving shouldn’t be a drudgery. For men with sensitive skin, however, it can be a hassle because of razor burn, bumps, and other types of irritation potentially caused by shaving. Fortunately, electric shavers such as the Norelco 7500 take the sting out of it by providing a comfortable shave without sacrificing closeness. It’s also an excellent all-around razor that’s suitable for men of all skin types and beard density, and it’s the best Philips Norelco shaver overall. The 7500 comes loaded with features that make shaving easier and not a hassle, including Norelco’s patented Comfort Rings. The latter contains thousands of powder-like beads that help create a smoother shaving surface so the rotary foils glide easily over the skin. According to the folks at Norelco, the Comfort Rings’ micro-beading technology reduce friction by up to 85%. We also like the 7500’s GentlePrecision blades that cleanly cut short and flat-lying hairs while also providing a close cut on stubble that you haven’t trimmed in a couple of days. 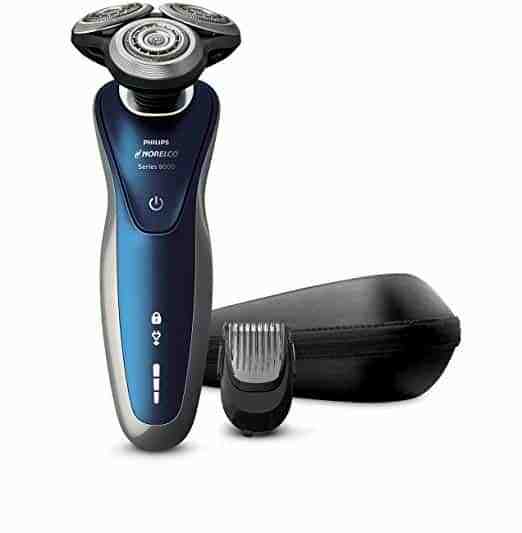 The 7500 also features Norelco’s DynamicFlex Technology, which enables the shaving heads to move in five directions, making it easy to trim the various contours and hard-to-reach places of a man’s face and neck. The Norelco 7500 shaver includes an LED display with a 1-level battery indicator which warns users when the battery’s juice runs low. The LED also has a cleaning indicator, replacement head indicator, and a travel lock indicator. Keeping your 7500 in shave-ready shape is easy, thanks to a SmartClean cleaning station that lubricates – and charges – the razor to help keep it running at maximum efficiency. The cleaning station is skin-friendly because it uses no alcohol. The 7500 runs on a Lithium-ion battery (typically the longest-lasting batteries found in electric razors) but also comes with a power cord. It’s suitable for wet and dry use, thanks to Norelco’s AquaTec technology. Feel free to use it with your favorite shave foam or gel or in the shower. It’s not easy picking a single standout from Norelco’s lengthy list of quality electric razors, but the 7500 is worthy of special mention. It has all the features you’d expect from a Norelco product, and it’s good for men of all skin types. To avoid confusion, it’s important to note that the Norelco 6100 is a new name for SensoTouch 2D 1150X46 razor. No matter what you call it, however, it’s a quality shaver that offers a superior shaving experience for men of all beard densities. The 6100 incorporates a ton of great features, as you’d expect from Norelco, including its unique GyroFlex 2D technology that’s designed to provide optimum comfort and performance. The GyroFlex feature works, in part, by allowing the 6100’s rotary heads to pivot in a circular motion and tilt inwards. This allows the razor, and its blades, to adjust easily to every contour of your face while minimizing pressure and irritation. The shaving heads feature Norelco’s DualPrecision technology that includes slots to make it easier to shave long hair and holes to cut even the shortest stubble cleanly. Meanwhile, it also includes a lift and cut dual blade system that lifts hairs while cutting them comfortably beneath the skin. The Norelco 6100 allows you to shave however you want – wet or dry. If you choose to shave in the shower, the 6100’s slim grip provides excellent control and the security of knowing the razor won’t slip from your hand. A Lithium-ion battery provides up to 40 minutes of shaving time, while the shaver also features a two-level display that indicates when the battery is full and when it’s time to recharge. There’s even a quick-charge option that gives enough power for a three-minute shave. That’s an excellent feature to have in case your razor’s battery runs out in the middle of a shave. Your Norelco 6100 kit also comes with a precision trimmer feature that allows you to trim your sideburns and mustache easily, as well as a charging stand, cleaning brush, power cord, and a protective cap. The 6100 can handle whatever shaving job you throw at it – from trimming longer whiskers that have grown for a few days to daily shaving to keep your skin silky smooth. How fast of a shave a razor provides is often important for a few reasons, including that it helps you scurry out the door in the morning when you’re running late. Fast blades can also cut whiskers more efficiently without the pulling and tugging of sluggish blades. Not that a fast razor guarantees a close shave, but we think you will appreciate the closeness provided by the Norelco 5100 – a razor that many men claim will lap the field regarding speediness. A bonus is that it also provides a close shave without skin irritation, which makes it suitable for men with sensitive skin. The 5100 comes with Norelco’s MultiPrecision blade system that cuts both long and short hair efficiently and smoothly. The razor’s five-directional rotary heads move independently and make it easier to cut close to the skin, as well easier to trim trickier areas, such as the neck and jawline. Moreover, you won’t have to make several passes to get the smooth, close shave you desire. The 5100 is suitable for wet and dry shaving, thanks to its AquaTec function. You can shave dry, you can use your favorite shave foam or gel, or you can even shave in the shower. The 5100 also comes with a SmartClick precision trimmer that allows you to take care of the finer details (sideburns, mustache, etc.). The 5100 is cordless and comes with a Lithium-ion battery that provides over 40 minutes of run time, which is approximately 13 shaves, on a one-hour charge. There’s also an LED that lets you know how much battery time is left and includes a cleaning indicator. The 5100 appears in plenty of Philips Norelco razor reviews, and with good reason. It’s a fast, efficient shaver that can handle long and short whiskers, as well as touch-up work. The Norelco 8900 ups the ante when it comes to shaving the facial contours unique to every man. The result is a razor that Norelco says will cut 20% more hair in a single pass and get 30% closer to the skin than most other electric shavers. It also has a long list of advanced features that help it stand out from the crowd, even when the “field” is loaded with top-notch products. The 8900’s close shave capability comes from, in part, its unique Contour Detect Technology, in which each shaving head moves in eight directions independently. It’s technology that makes for a more efficient shave that follows the curves of your face. Norelco’s V-Track Precision Blades help provide shaving closeness by collecting hair in the optimal cutting position. The blades also self-sharpen to ensure a quality wet or dry shave each time you use the 8900. The 8900 comes with a SmartClick beard styler that has five built-in length settings. You can cut everything from day-old stubble to a short beard comfortably. You can use it for wet and dry shaving. The LED interface includes a low battery indicator, a replacement shaving head indicator, and a travel lock indicator (the travel lock prevents the shaver from turning on accidentally). The 8900’s Lithium-ion battery provides 50 minutes of runtime. It takes one hour to fully charge the razor (if you’ve run the battery completely out), but it also comes with a 5-minute quick charge function that provides enough runtime for one shave. You get a lot of nice features for the price with the 8900 but, more importantly, a close, comfortable shave. It’s worth the investment. Is it a disposable razor? An electric razor? At first glance, it’s not easy to tell exactly what the Norelco OneBlade is, but it is indeed an electric razor (even if it looks a lot like a disposable). It’s also a versatile grooming tool that allows you to trim, edge, and shave any length of hair, and it can serve as a manscaping body groomer if you so choose. The OneBlade name comes from the razor’s single shaving surface, which looks like a small foil, and it also features a rapid cutter blade that’s said to move 200 times per second. It also comes with a dual protection system that enables you to get a clean, comfortable shave even on longer hairs. The OneBlade is good for detail work; it comes with three trimming combs that help to give you a fast, even trim in the most hard-to-reach places, while the dual-sided blade is excellent for precise edging and creating the exact look you prefer. It’s an ideal tool for men who wear a variety of facial hair styles, including stubble and longer beards. You can also use the OneBlade for wet and dry shaving, and, because it’s water-resistant, it’s easy to clean. We also think it’s perhaps the best Norelco shaver for the money. It’s inexpensive, for one, but a blade should last four months before a replacement is needed. The OneBlade is a surprisingly effective tool for trimming your beard and creating the shapes and styles you want. It also comes at a nice price. Everyone has to start somewhere, including shaving with an electric razor. That’s one reason to like a razor such as the Norelco 2100 – it’s a considered an ideal “entry-level” shaver that’s great for newcomers but effective enough for use by men of all levels of shaving experience. Like the Norelco OneBlade, the 2100 comes at an affordable price without skimping on any of the craftsmanship through which Norelco has built its name. It features a CloseCut blade system that gives a close shave without irritation, while its blades are self-sharpening and maintain their consistency from shave to shave. The 2100’s shaving heads flex in four directions to easily handle the unique curves and contours of a man’s face. It also includes a pop-up trimmer that handles the “detail” work of sideburns and mustaches – for putting the finishing touches on whatever style you want to achieve. The 2100 is capable of wet and dry shaving, and it’s easy to clean (with water), thanks to a one-touch feature that opens the heads so you can rinse them. 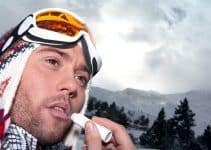 Moreover, it’s an extremely quiet razor that some users say is so quiet you can’t hear it unless you’re standing next to the person using it. 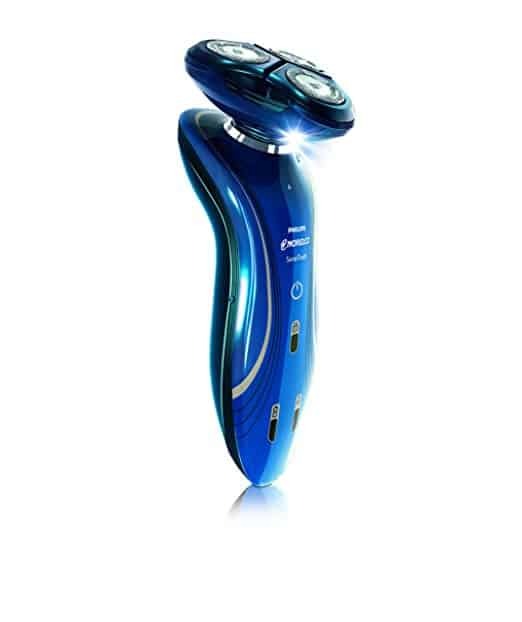 Its Lithium-ion battery provides up to 35 minutes of shave time and needs about eight hours to charge completely. An LED display lets you know when battery power is running low. The 2100 is a no-frills razor that still delivers the quality shave you expect from Norelco’s products. You could spend more on another razor that doesn’t provide as good a shave. If you’re new to shaving with a Norelco razor – or to electric shavers in general – your skin may need a couple of weeks to adjust. You may experience some slight irritation and discomfort in the beginning, but that’s normal and shouldn’t last very long. Shaving longer whiskers with an electric razor is sometimes a chore and often uncomfortable. You’ll do yourself a favor with a bit of pre-trimming if your beard is a couple of days old and heavier than usual. Most Norelco shavers come with trimming attachments that help you to thin the forest, or you can use a quality pair of beard and mustache scissors. There’s no need to use excessive force when using your Norelco shaver – or any electric razor for that matter. Gentle pressure is enough to make your facial hair stand upright while ensuring that the blade catches and cuts it. Too much pressure creates friction between your shaver and skin, which can lead to irritation. Go easy, friends – especially if you have sensitive skin. Most men have a few facial hairs that seem to defy their best shaving efforts and escape the shaver. One of the ways you can get them to cooperate is by gently pulling the skin in that hair taut because it will lift the hairs and make your shaver’s job easier. While manual shaving (with exposed blades) involves shaving with the grain, the opposite is true for shaving with an electric razor. The shaving heads and foils of an electric shaver will best lift and capture your whiskers when you shave against the grain. Also, remember to shave with circular motions only when using a rotary shaver. Foil razors limit you to up-and-down movements and can easily irritate the skin if you operate them with circular motions. Many men use their Norelco razor for wet shaving and feel that doing so gives them a closer shave. One of the keys to wet shaving is using a quality shaving foam or gel, and it’s always a good idea to wash your face with soap and water before you start shaving. Dry shaving is always an option with any Norelco electric razor and is less complicated than wet shaving, in which you use products such as shave foam or gel. To get started, wash your face with water and a good face wash or soap. Use warm water, because it will open up your skin’s pores and give your whiskers an extra bit of “lift” that helps your shaver’s blades catch them. Let your skin dry completely before you begin shaving and then use circular motions to trim your facial hair (or up and down motions when using a foil shaver). Save your sideburns and mustache for last and give them a touch-up as needed. Again, your Norelco shaver probably has styling and trimming attachments that enable you to handle “detail” work smoothly. A couple of things you should do after you’ve finished shaving and trimming is 1) apply aftershave and 2) clean your razor. Aftershave will soothe your skin and give it the fresh-shave feeling that many men love while also easing potential skin irritation that’s the bane of men with sensitive skin. Finally, it’s important to clean your Norelco shaver after every use, whether you rinse it with tap water or use the cleaning station that comes with many shavers. You can also use a cleaning brush (most electric shaver kits include them) to wipe away excess whiskers left on the blades. Following a consistent post-shave cleaning routine will help keep your razor working its best while also ensuring that you get the most life from it as possible. The Philips company – which later became Philips Norelco – produced its first line of electric shavers in 1939. In other words, they’ve been in the shaving game a long time and have introduced a lot of unique technology since then. Norelco’s shavers come with blades designed to provide a closer shave with fewer passes. They’re designed with a precision lift and cut technology that works on whiskers of different lengths. Norelco’s blades often change from model to model, however, but that’s true of many other electric razor manufacturers, including Braun. Most Norelco shavers feature blades that move in different directions – which, again, isn’t unique – but it does allow users to trim hairs from different angles, which also helps improve shaving accuracy and decrease the likelihood of razor burn and bumps. Electric razors come in two types: foil and rotary. While Norelco manufacturers both types, one of their major competitors (Braun) focuses primarily on foil razors. Both types of razors have their advantages, but one of the things we like about rotary shavers is that you move them in circular motions; foil shavers restrict you to straight-line or up-and-down movements. Norelco, Braun, and Panasonic shavers have motors of varying degrees of power, and you won’t have trouble finding one with a motor powerful enough to suit your needs. Braun may have an edge in power – its AutoSensing motor ranks among the best in the business – but more powerful motors typically generate more noise, which may or may not influence your buying decision. Norelco shavers come with a boatload of accessories – as evidenced by our razor reviews above – and include everything from precision trimmers and stylers to travel pouches and cleaning stations. Norelco has you covered if you like gadgets. While foil shavers work particularly well for shaving with thick creams and gels, that’s not to say Norelco’s rotary models won’t get the job done during wet shaving. Among the advantages offered by Norelco’s cleaning stations is that they don’t use alcohol. That’s another plus for men with sensitive skin – although, to be fair, the alcohol used in the cleaning stations of other major razor brands is often highly-diluted. Norelco shavers use Lithium-ion batteries that typically provide up to 40 minutes of shaving, and perhaps more, before needing a full charge. The battery should last the life of the razor. No matter what your shaving needs or type of whiskers and facial skin, there’s a Norelco Shaver out there with your name on it. Quality Norelco razors abound, which makes narrowing down the field to find the best of the bunch something of a challenge. We chose the Norelco shavers for our best-of list based on a variety of considerations, including overall performance, blade quality, ease of use, attachments, battery life, and ease of maintenance and cleaning. We also considered the reviews of others, particularly those of customers like you. Price is another factor we considered, and our goal is always to provide a list of products that fit the budget of every man. What are your thoughts? Do you use a Norelco shaver? If so, what model? Or, do you use another type of electric razor? We’d love to hear from you.